The year long wait for all the love bugs is over as Valentine’s week is here. Every day of this week, starting February 7, is an opportunity to celebrate love and togetherness. This is a chance for you to make every moment with each other count and make this week the most cherishable one in the whole year! 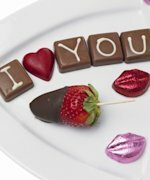 If you are eager to know how to make your Valentine’s week special, let us explore one day at a time to make sure you have a fab time with your sweetheart. The symbol of love and passion, a red rose, is the perfect start for the Valentine’s week. Take a huge bouquet of roses to make your darling feel over the moon. If you are tight on the budget for gifts, giving just one red rose would sweep your beloved off their feet. Even if you wish to drop a hint for someone you have just met, or if you wish to surprise your partner with a special gesture, this is the best day to do that. You can go a step further and add some personal message it as well. Yes, this is the perfect day to propose to your sweetheart. If you are already married, confess your love for your partner in a unique way or simply renew your vows. If you cannot think of anything else, go for the tried and tested romantic candlelight dinner date. In the hectic schedules today, even that can be super romantic! Make it more special by arranging with the restaurant manager to play your partner’s favourite song, get champagne or cake. All you need is love. But a little chocolate now and then doesn’t hurt.” said Charles M. Schulz. And, he is right! Chocolates add more to the love that is in the air during Valentine’s week. Rather than gifting chocolates, try to bake a chocolate cake for your sweetheart. Love and chocolate is a sinful combination, so lure your partner and relish on each other and not just chocolates. It might sound clichéd, but a teddy bear is a perfect gift to cuddle with when you miss your beloved. It stands for affection, pampering and love. Especially for girls, teddies are the cutest gift if you wish to show her your love. But teddies can be a nice gift for guys as well. After all, aren’t they little kids from the inside? This gift can sit in your room and always remind you of the special love you have in your life. ‘What are words if you really don’t mean them when you say them?’, goes Chris Medina’s song. Doesn’t it sum up the need to keep all your promises to each other? If you think that the person is the one for you, make sure you make the promise at the right time and keep it too. Make it unique by promising something really special to them under the moonlight or at the time when you are both immersed in the moment during your candlelight dinner. Nothing can convey your emotions as effectively as a hug. Whether you plan to hug your partner each time you see them, or if it is a spontaneous casual hug, you can always make them feel warm and loved with a hug. So, put all your love and warmth in the hug. On this special day, plan an evening picnic with your partner, or even ask a few friends to join you. Make it casual, fun and refreshing by playing games or eating out. Look for opportunities to hug your darling and see their eyes smile. A romantic day need not always be fancy and expensive. It is ‘kiss day’, so why don’t you steal random kisses on a cosy evening together at home? Dig into an inexpensive, home-cooked meal, clink wine glasses and play fun board games. A leap and kiss, or a tender kiss on the forehead can work its magic as well as a passionate kiss.